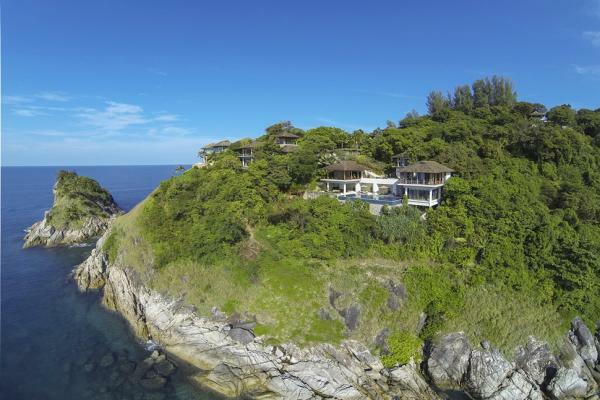 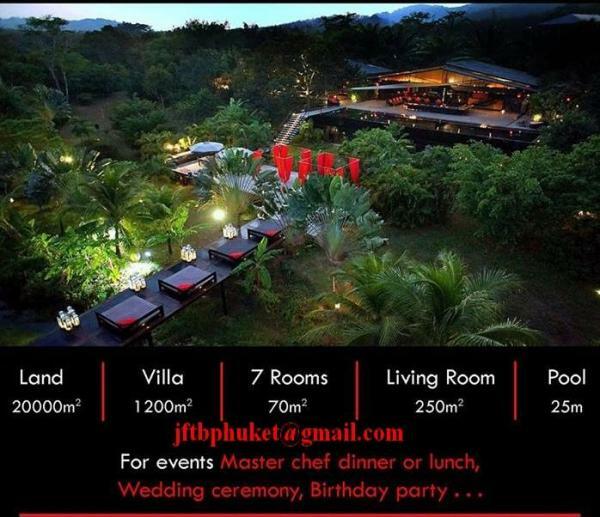 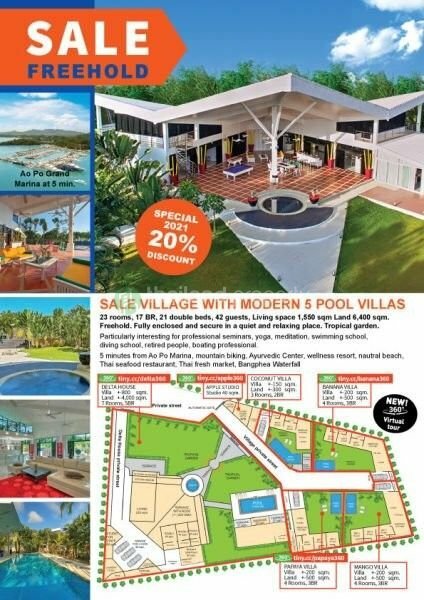 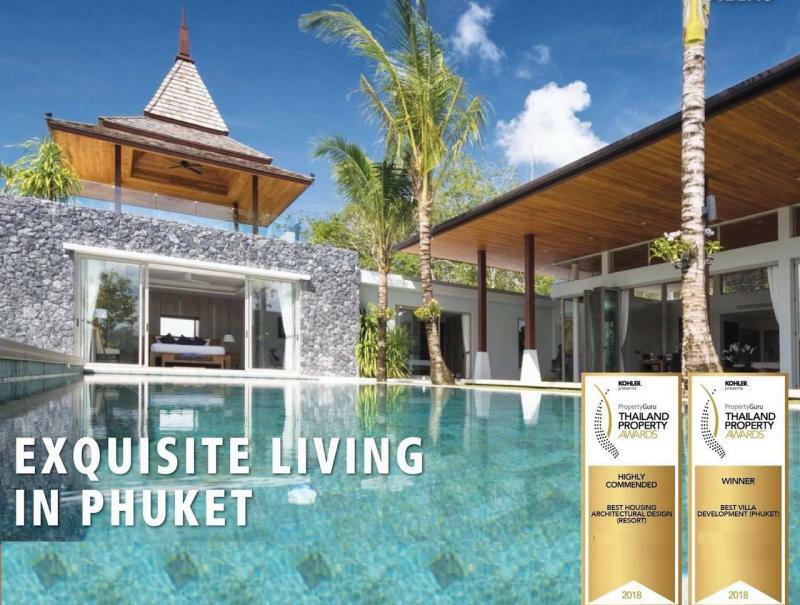 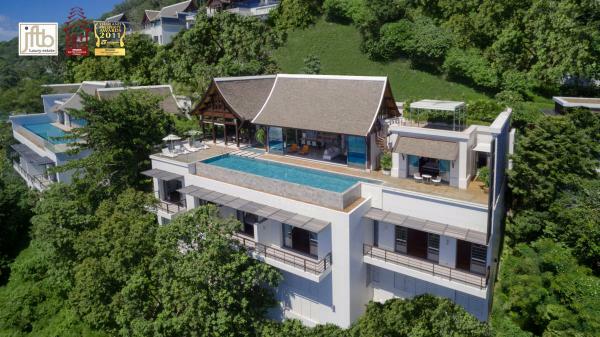 Located just minutes from Patong Beach, this luxury Beachfront property is totally private and offers a unique beachfront lifestyle. 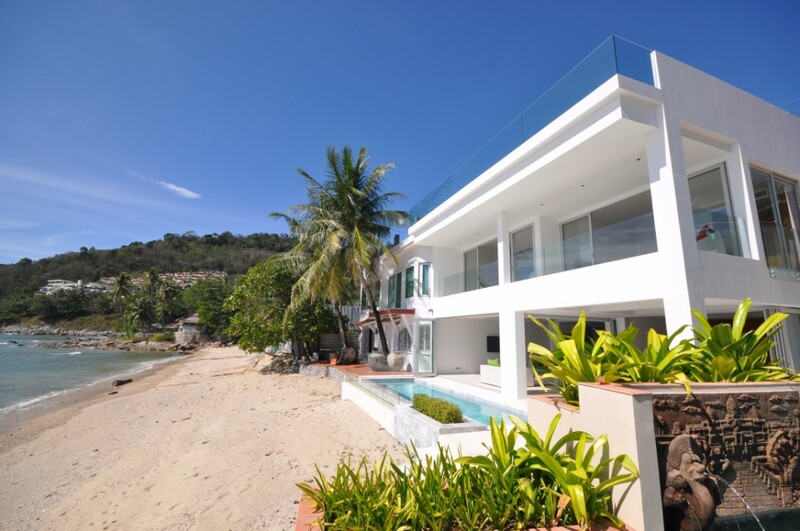 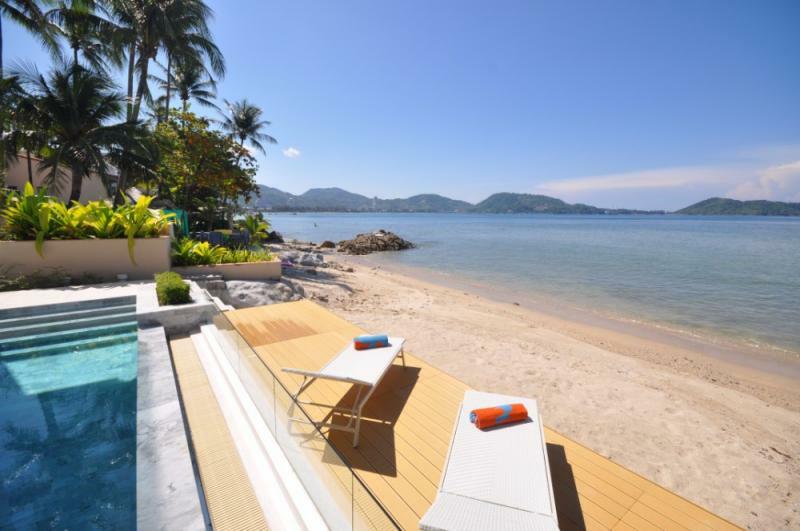 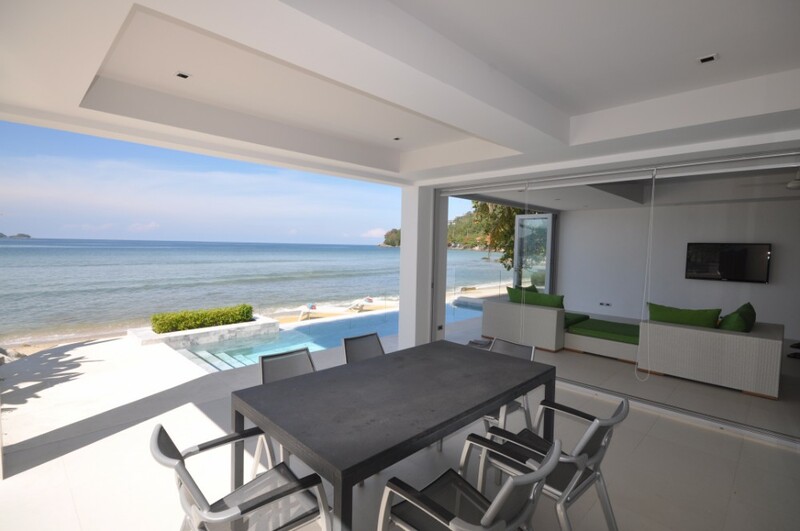 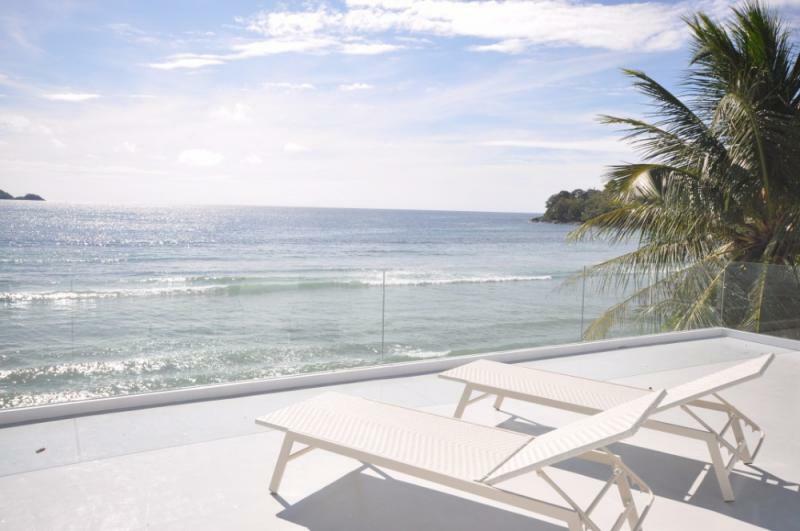 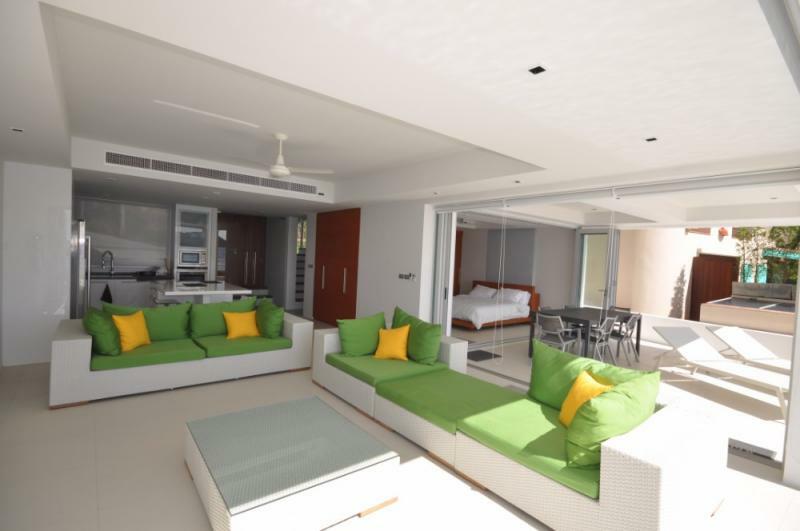 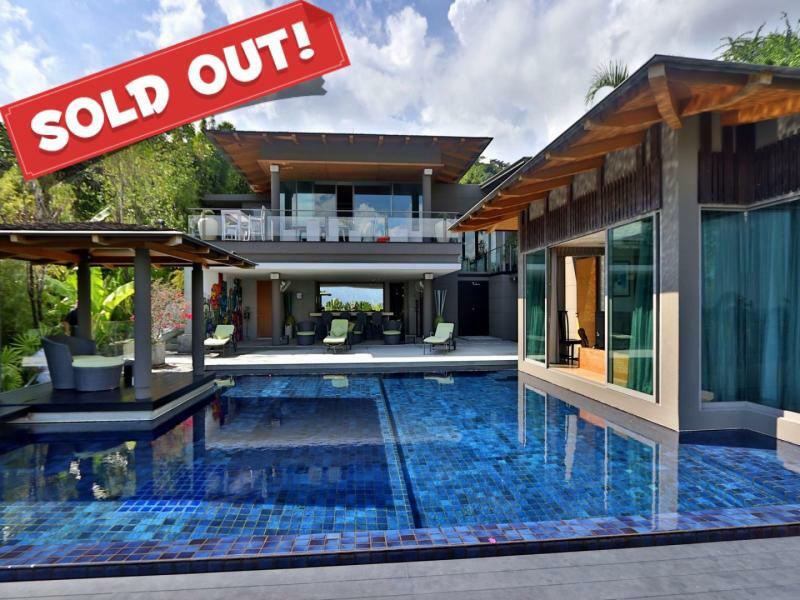 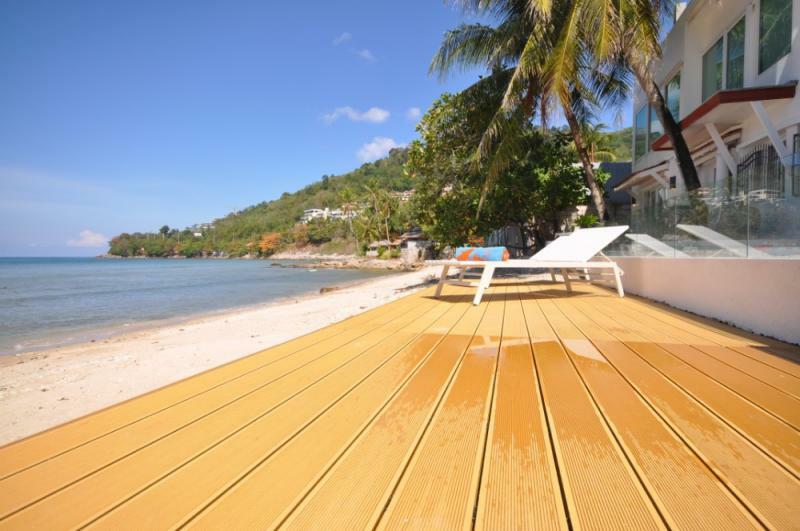 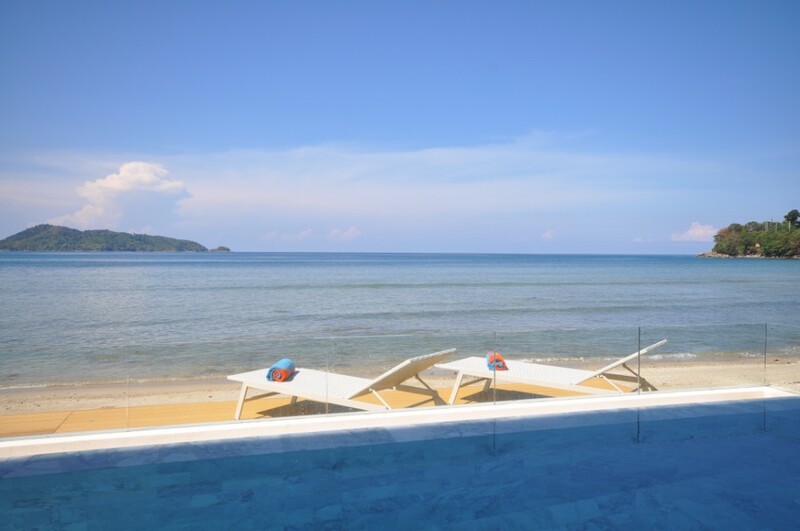 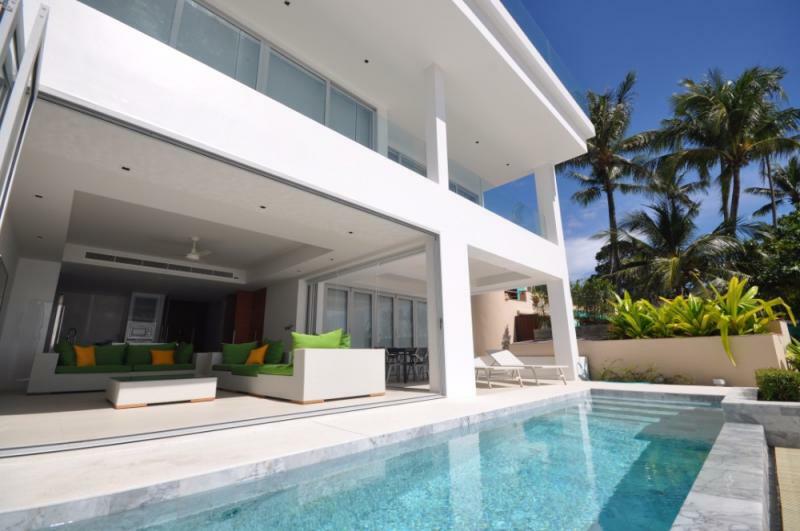 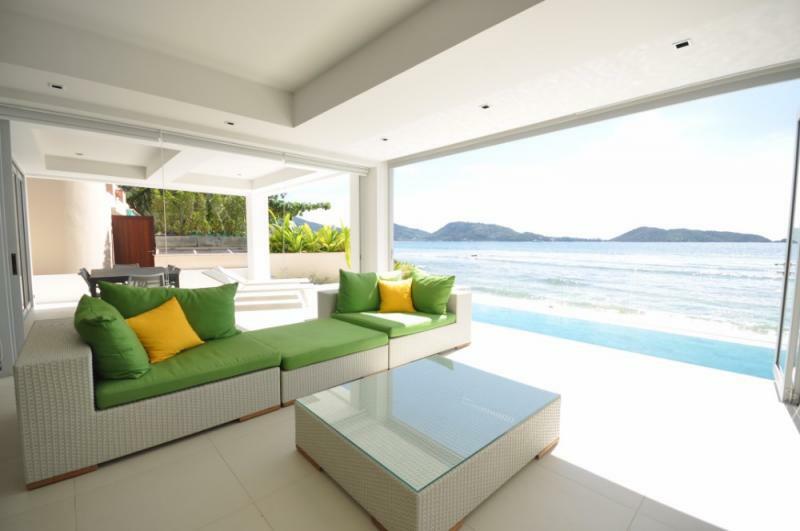 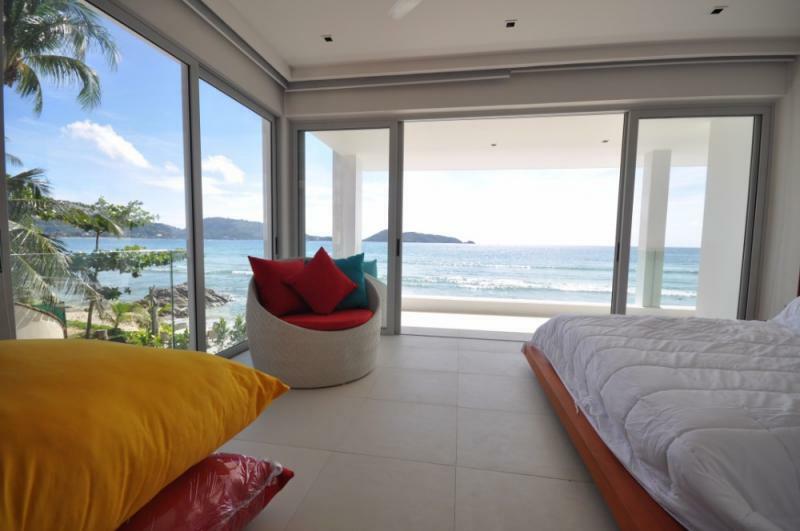 This modern pool villa is one of only 4 beachfront villas existing in the whole of Patong Bay and was completely renovated in 2011. 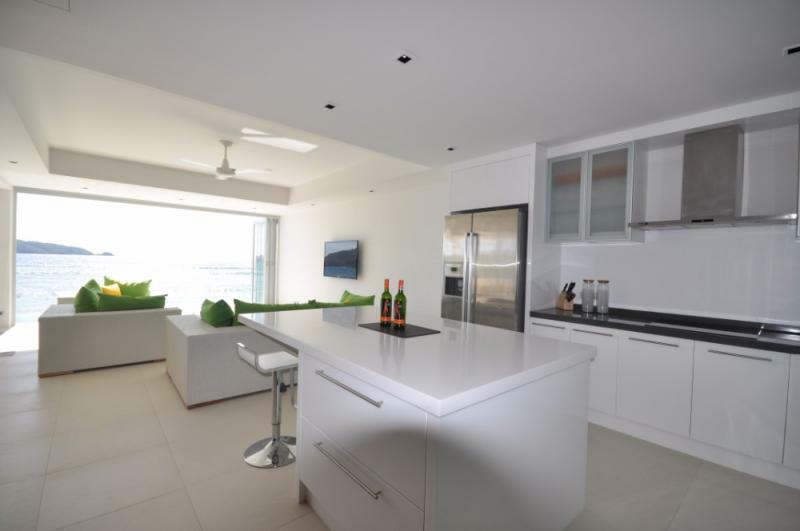 This unique property consists of 3 bedrooms and 3 bathrooms, an open kitchen and living room, and a covered dining area. There is a 8 x 2.5 meter marble pool overlooking the beach and gets a terrace with a covered party and another open air. 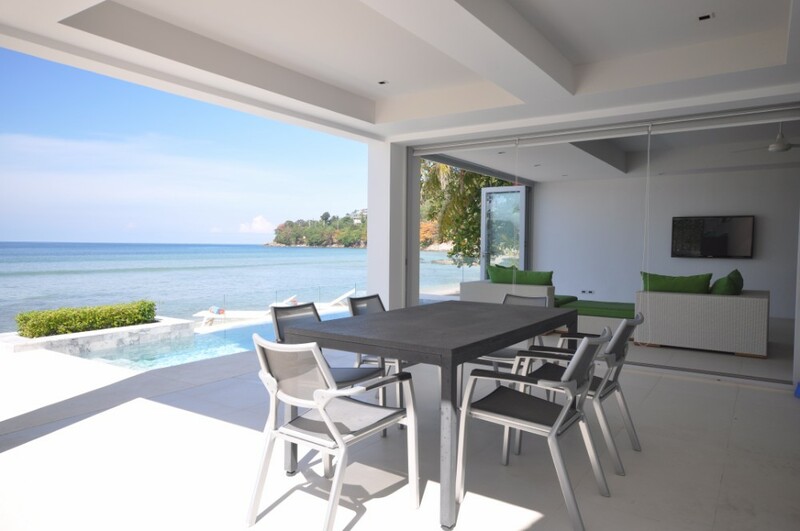 The living room, the dining room and the kitchen area and a large bedroom with private bathroom have direct access to the beach from the terrace. 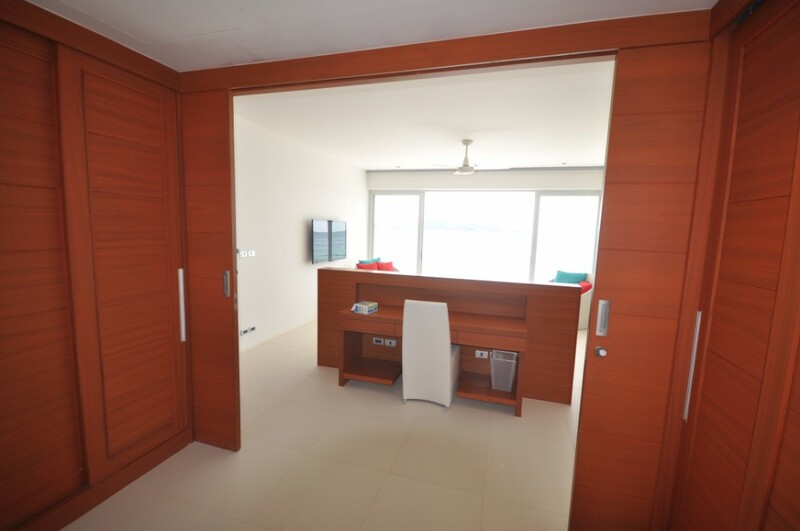 A teak staircase leads to two large bedrooms with en suite bathrooms and plenty of closet space. 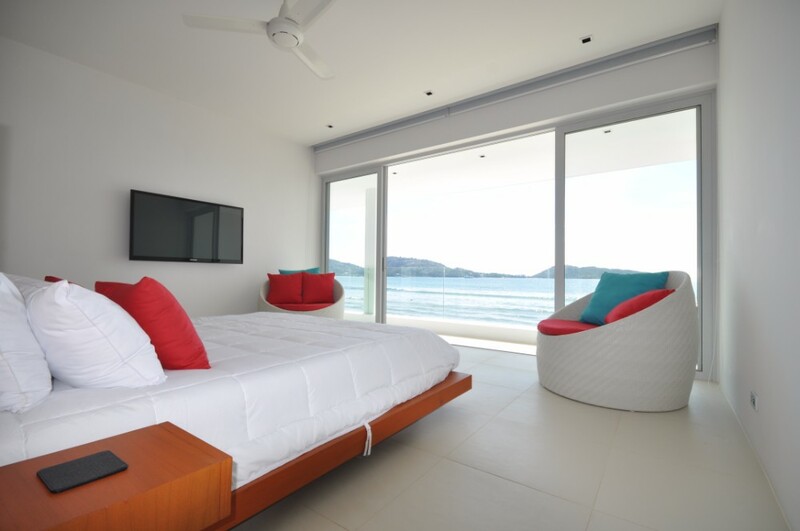 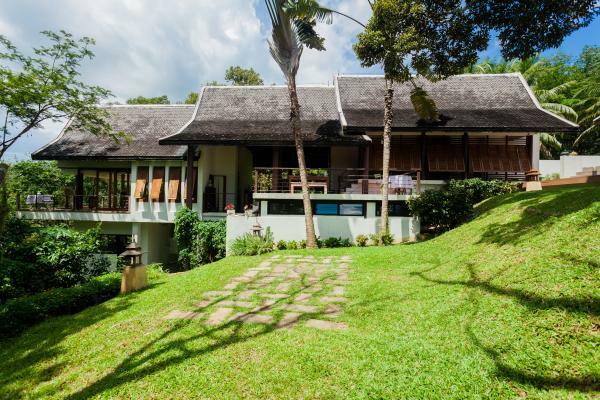 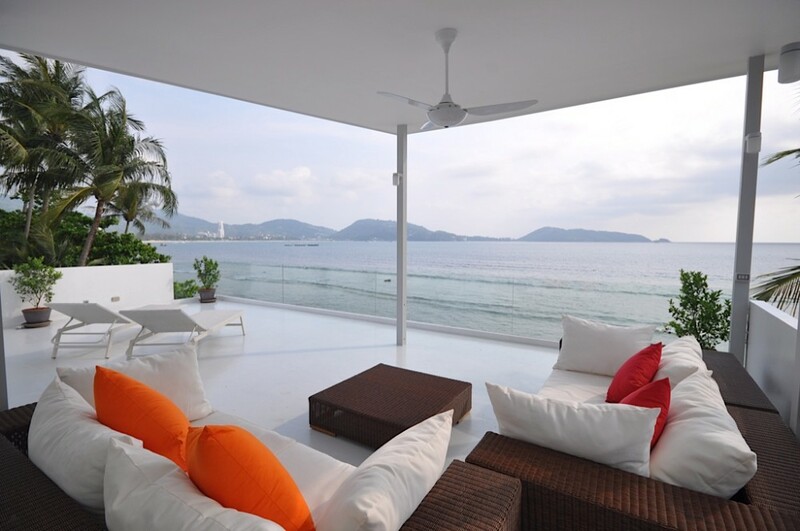 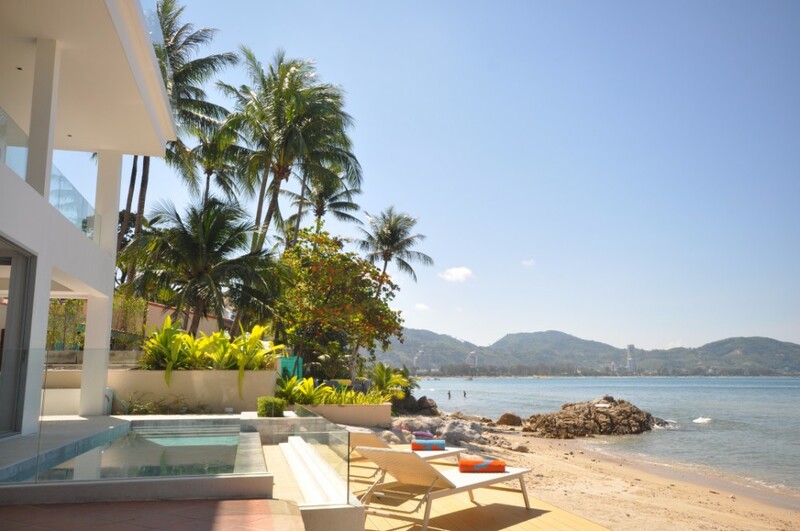 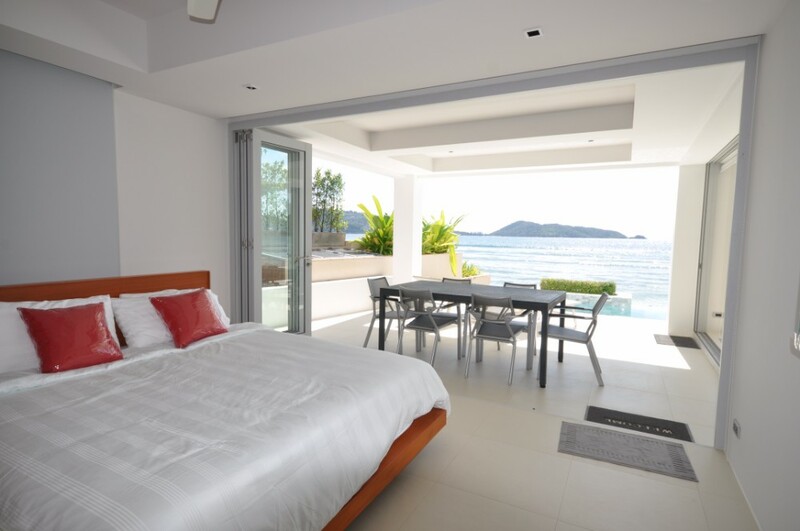 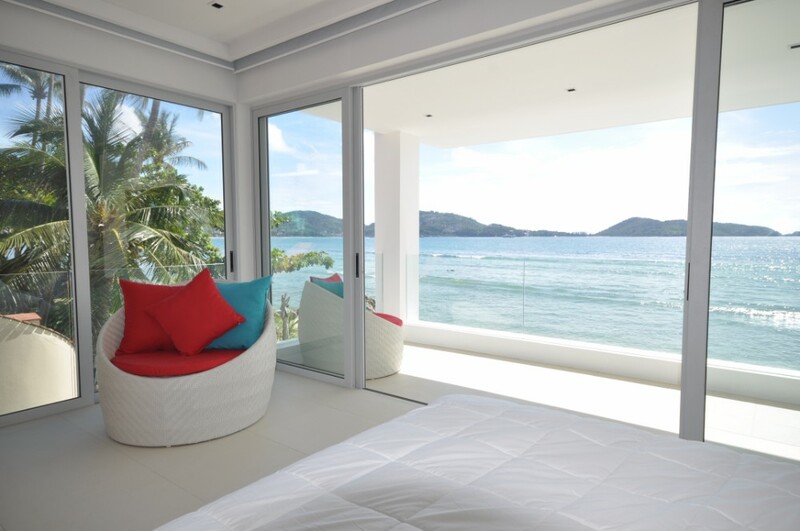 Both bedrooms open onto an upper terrace with breathtaking views of Patong Bay. 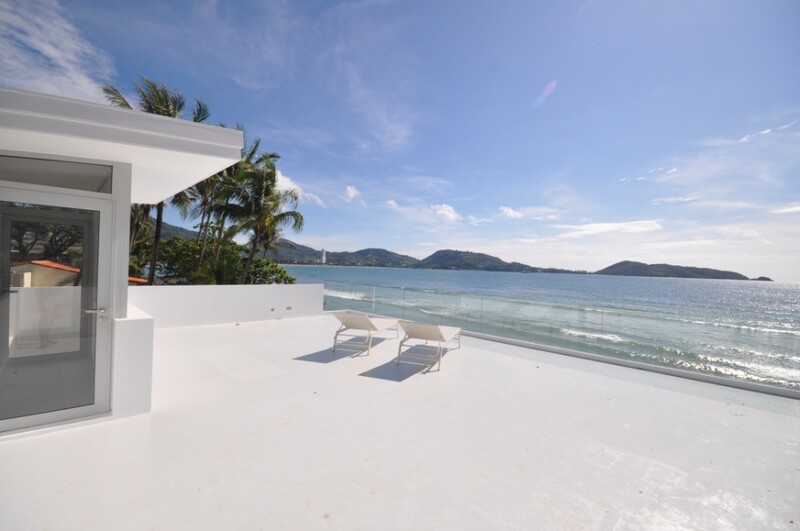 The villa also has a roof terrace of 80 m2. 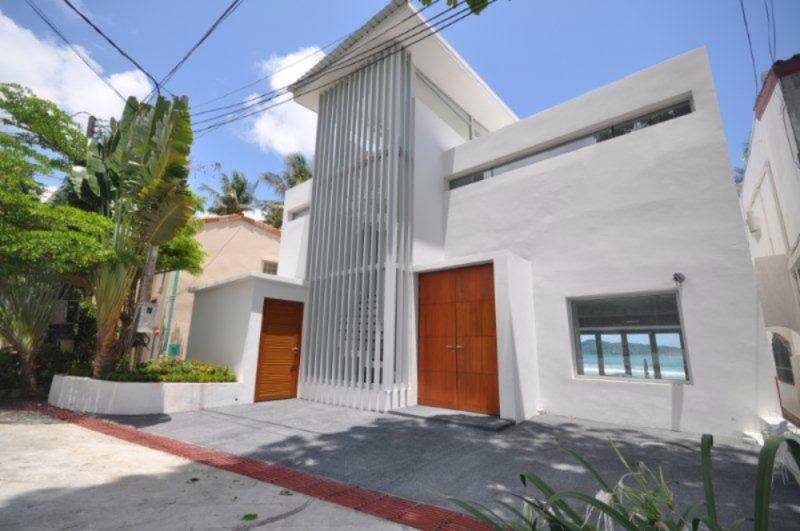 The house has a facade of 12 meters beachfront. 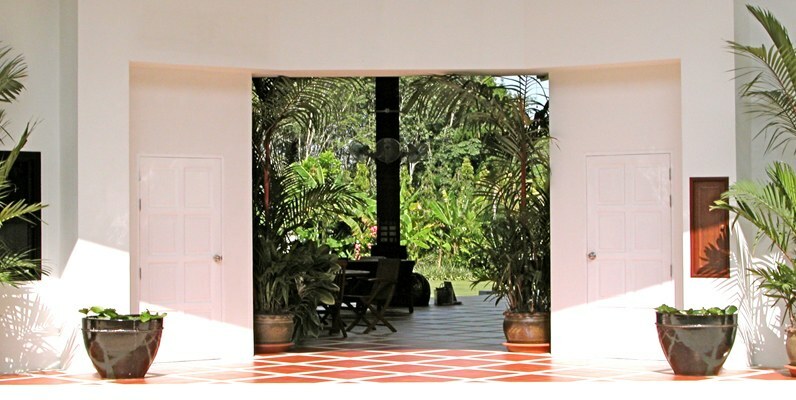 The villa has parking for 2 cars. 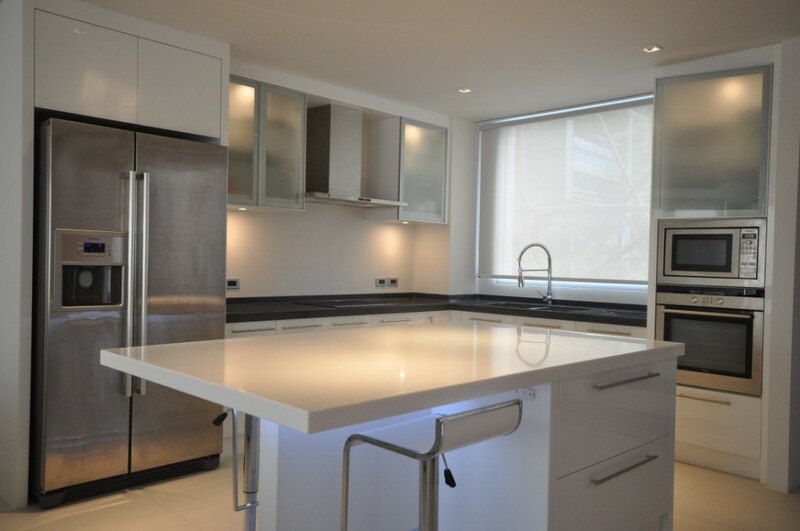 Completely furnished with high quality furniture and entertainment systems integrated.